With her wit and charm, Bishop is a perfect ambassador for the Irish art scene. As Arabella Bishop steps into her Molesworth St office, she is preceded by the lolloping and affable office pet, Zorro. A concerned face pops from behind a corner and asks: “How do you feel about dogs?” Bishop, although her friends call her Bella, is witty, clever and courteous. She also possesses a rare informality a million miles away from the stuffy stereotypes of Ireland’s art scene. Her passion for art took her from a boarding school in England to Florence and, finally, to Trinity. “Bella was an archetypal TCD girl”, says Nick Bonham, a sixth generation Bonham in the family business of auctioneering, speaking to The University Times. Her commitment to the task at hand is an attribute she has maintained throughout her career. 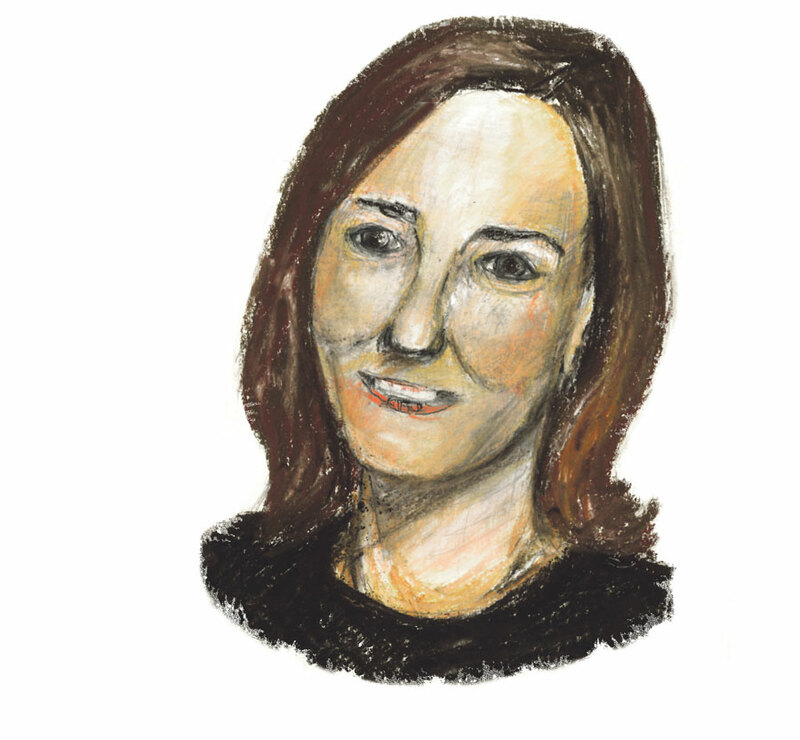 Speaking to The University Times, Eliza McCormack, the office manager and client developer at Sotheby’s in Dublin, testifies to Bishop’s passion for her work: “Bella has had her fair share of having to kick off the heels and climbing into various attics in search of property to help clients. We are all very hands on in the office here… and we all get stuck in… One moment [she] will be hanging a picture in our Irish Sale Exhibition, the next you will see her running around with a hoover”. “To really become an auctioneer, live auction is the only way you’re going to learn”, Bishop says. “You can’t be nervous and you get into it and actually, to really become an auctioneer, live auction is the only way you’re going to learn”, she says. Bishop has always been good at grasping opportunities and her return to Ireland came about with a bit of good fortune. Taking over from Anne Dillon, Bishop’s appointment as the Head of Sotheby’s Ireland was sudden and began with a simple chat between colleagues: “Literally within three days, I think, I was meeting the Chairman of Sotheby’s… and going through a rigmarole of interviews and then was offered the job to come back and be head of Sotheby’s here”. Throughout our conversation, it becomes more apparent that Bishop’s preliminary focus is on Irish art. “Deprived” (her words) of some of her favourite works during the refurbishment of the National Gallery, Bishop still gets a rush of appreciation and disbelief when standing in front of the paintings she first learnt about during her time at Trinity. It is clear that the Yeats sale was merely a culmination of her ongoing love for the work of Jack B Yeats. Her favourite? “The Liffey Swim”. The painting, she says, “will always be, an image I have in my head”. After the now infamous 1999 price-fixing scandal involving Sotheby’s Diana Brooks in New York, it is promising that, almost 20 years on, the auction house has a strong female presence once again at the helm of the company. The trend is the same in terms of artists, according to Bishop: “There are a lot more male artists but I think there are more female artists coming through in the contemporary world.” In terms of Irish art alone, she lists Mary Swanzy, Evie Hone and Mainie Jellett as some of her favourite female artists, yet, in the sales room, “the big prices are [still] probably Orpen, Lavery, Yeats, Roderick O’Conor”. Bishop seems to share the same qualities. 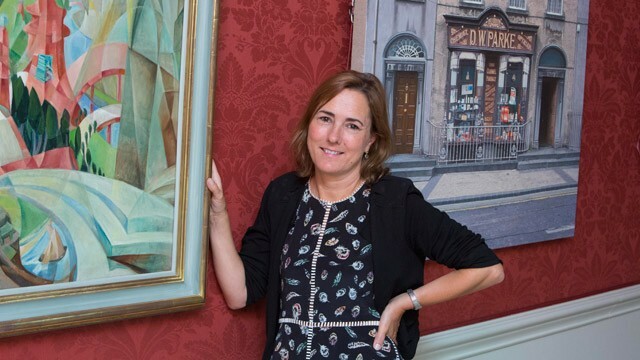 Dedicated and passionate, a 40th anniversary celebration of Sotheby’s in Ireland will give Bishop the chance to cement her own place in the roster of names who have shaped and shifted the Irish art scene. As Bonham notes, “she’s an absolutely amazing lady”.